Last week, FCC Chairman Tom Wheeler announced that he will ask the FCC to reclassify broadband as a utility -- just like tens of thousands of Democracy for America members asked him to do. Now, some members of Congress are pushing for telecom-friendly legislation that would strip the FCC of the power to reclassify broadband. 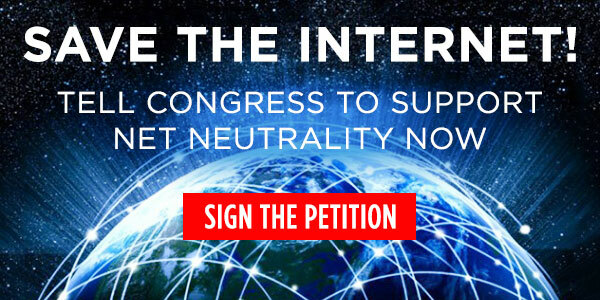 We're closer than we've ever been to winning a truly free and open internet for the long term. We can't let the shenanigans of a few members of Congress and their corporate friends jeopardize this potential victory at the last minute. Tell Congress: We don't need new legislation. We need you to step back and let the FCC protect Net Neutrality.